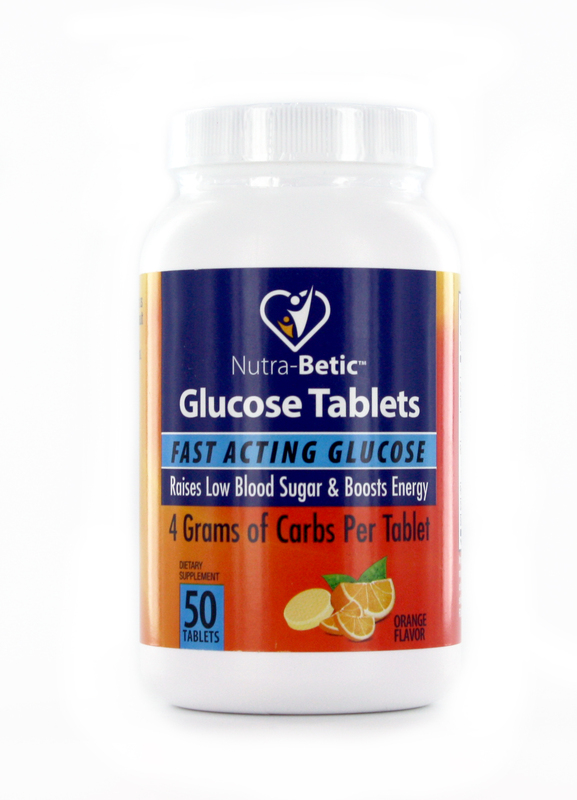 Nutra-Betic™ Glucose tablets give your body the carbs it need quickly and efficiently. These fast-acting chewable tablets help raise blood sugar (glucose) levels and boost energy levels. Each serving of Nutra-Betic™ Glucose tablets contain 4 grams of rapidly-acting carbs with 15 calories. These pleasant tasting orange-flavored tablets are easy to chew. Individuals can use these whenever they need them, as no water is necessary. SUGGESTED USE: Take one or two tablets as needed as a dietary supplement. Consult with your healthcare professional to determine the best serving for you.